Skin Care Tips: What’s the Advantage of Face Cream with Peptides? When it comes to anti-aging ingredients, retinols get the spotlight. But there are other ingredients that can help you stay wrinkle-free. You may have heard that peptides are an ingredient you should look for in face creams, but what are they, what do they actually do, and are they safe for your skin? Also check out the foods in your kitchen that can help you look younger. In order to understand what peptides do, you need to know more about collagen, says Deirdre Hooper, MD, dermatologist at Audubon Dermatology in New Orleans. Collagen is the most abundant protein in your skin, existing as fibers that weave together to give your skin support and thickness. When collagen fibers diminish, you get wrinkled, thinned, aging skin, says Dr. Hooper. Peptides are short chains of amino acids that act on collagen in a variety of ways to slow the aging process. Incorporating peptides into your face creams can help you reverse or prevent the signs of aging, she says. Peptides are biologically active, meaning their presence causes a change to occur in your skin. These amino acids are thought to boost the production of collagen, and if a topical product can encourage skin cells to create rather than break down collagen, or control other biochemical aspects of aging, it will be an excellent skin-care product, says Dr. Hooper. Signal peptides can signal your skin to produce collagen or to stop breaking down collagen—either way, they’re slowing down the process of wrinkling. The most popular signal peptides for cosmetic use are palmitoyl pentapeptides. They can be found in a variety of skin creams including StriVectin and Oil of Olay’s Regenerist skin care line. 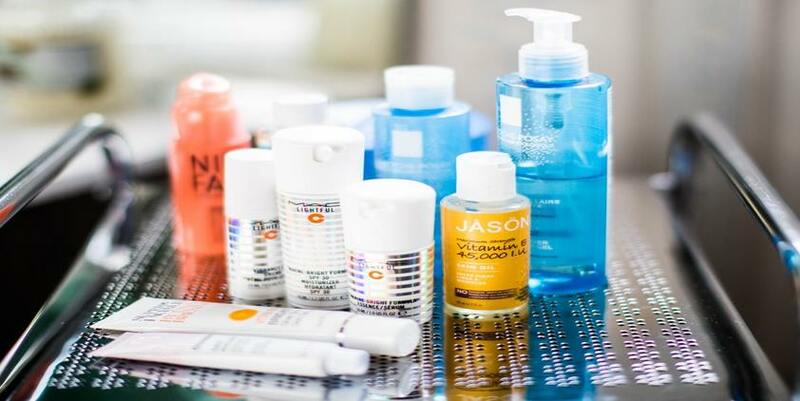 If you experience itching, burning or other signs of sensitivity after using any of these products, discontinue use until you talk with your dermatologist, says Dr. Hooper. But generally these products are well tolerated by all skin types. While peptides are found in a variety of products, ranging from affordable to the very expensive, you don’t have to get the most expensive skin care product in order to reap their benefits. Oil of Olay’s Regenerist products (which cost less than $20) is as good as the pricey stuff, according to some dermatologists. [source: US News & World Report]. Read the full article on HowStuffWorks.